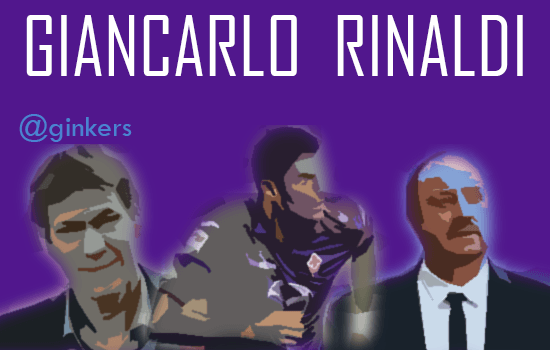 In our latest interview feature we talk to Fiorentina fan and Italian football expert, Giancarlo Rinaldi (@ginkers). Mr.Rinaldi is the author of Kindle football best-seller, 20 Great Italian Games. 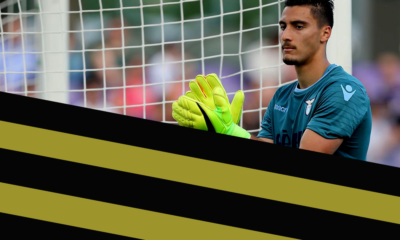 He has a wealth of knowledge of the Italian games and shares his thoughts on his Viola, the 2013-14 Serie A season and the Italian national team. Your beloved Viola have played some fantastic football this season, but the results have been mixed. What do you think of Montella’s approach? I think Vincenzo Montella has been just about the perfect coach for all the changes at Fiorentina over the past two seasons. He came with a reputation as being committed to a 4-3-3 formation but he has shown great tactical flexibility to adapt to the personnel at his disposal. Now the Viola can switch tactics well between a wide variety of approaches and, usually, play some good football too. If he gets all his players back from injury, he can maybe get a more settled side. Clubs like AC Milan are struggling but the likes of Inter & Roma have rejuvenated. What are the chances of Viola finishing in a Champions League spot? It will be hard for Fiorentina to get a top three finish this year with Roma, Juventus and Napoli setting such a strong pace. Inter’s revival makes it an even more difficult task. However, I believe the pace has to slow at the top of the table and, if the Viola can cope with the dual challenge of Europa League and Serie A, they might just sneak into third place. Although perhaps progress to the later stages in Europe is a more likely goal. Summer signing, Mario Gomez, hasn’t been able to feature enough for Fiorentina. What impact do you think he will have on the side, upon his return? Theoretically at least, Gomez should complete Fiorentina’s attack when he returns. They have sometimes been guilty of playing a lot of nice football without actually sticking the ball in the net without him. Giuseppe Rossi has thrived in his absence but there is no doubt that he should do even better with a more physical player alongside him to help create more space. And, in those sticky games where one goal decides the match, the Viola could do with a proven goalscorer like the German. Roma have had an incredible start to the campaign. What has Rudi Garcia altered to improve the side to this level and can you see them sustain themselves at the top in the long-run? I find it impossible to think Roma will keep up the pace they have so far but I don’t see why they shouldn’t remain at the top end of the table for some time to come. There is no doubt the Giallorossi underachieved last year with the squad of players they had so some sort of recovery was likely no matter who took charge. However, Rudi Garcia has given them a very clear tactical identity in a short space of time and what has impressed me most is the fighting spirit and determination he has instilled in the side. They hate to lose a single goal. He has also benefited from a transfer campaign which radically upgraded the spine of the team. Morgan De Sanctis, Mehdi Benatia, Kevin Strootman and Gervinho have all settled in superbly well with Adem Ljajic making nice cameo appearances from the bench. Daniele De Rossi is back to his best also but the return of the evergreen Francesco Totti could be key to their ultimate Scudetto hopes. Juventus and Napoli battled it out last season for the Serie A crown, both are now within reach but trailing Roma. Which one of them, according to you, is more likely to win the title? I think Juve remain the more likely to win the title, although I have been impressed by how quickly Rafa Benitez has settled in at Napoli. Despite Antonio Conte’s protestations that three-in-a-row will be tremendously difficult, I think he knows he has the players to achieve it. Carlos Tevez made an immediate impact and Fernando Llorente is starting to make a difference too. Add to that the emergence of Paul Pogba as a real force in midfield and you have a team which – in Serie A terms at least – is very powerful. Napoli look a little more fragile but if Gonzalo Higuain can keep himself fit there is every reason to think they can fight for the title until very late in the season. 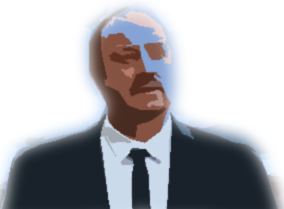 How impressed have you been with Rafael Benitez at Napoli, changing their style in a matter of 6 months? Benitez has done really well in Naples so far and was, perhaps, the kind of coach they needed in the post-Mazzarri era. He knows Italy well and knows exactly how to set a team up for every game. He is well-prepared and, some would say, blessed with good fortune. He inherited a strong set of players but the reinvestment from the sale of Edinson Cavani has allowed them to revitalise it with some good signings. Similarly, has Walter Mazzarri’s appointment at Inter impressed you so far? I think Mazzarri had more work to do than Benitez to turn Inter around. The squad still looks a bit imbalanced and ageing but he has given them a clear blueprint of how he wants to play. The first thing he has done is try to sort out one of the most leaky defences in Italy which he has done very well. As long as the Nerazzurri don’t panic if they hit a run of poorer results, I think he can take things a lot further in the medium to long-term once he starts to get more of the players he needs to play his system. Not having European distractions is probably a help also this year. They say the Champions League is the benchmark to compare the top clubs. How long before we can again see an Italian side capture Old Big Ears? It could be a while before Italy has a credible shot at the Champions League again. There are signs that clubs are trying to get their act together but it is not easy when you see teams in England able to sign some of the best players in Serie A (Jovetic and Lamela) for big money and hardly ever play them. When you look at the value of players on the bench for the main contenders for the trophy it gives a clear picture of how far behind Italy has fallen. Spain’s big two remain very strong, German football works on a very sound model and the investments of oil billionaires and oligarchs have skewed things in favour of other clubs. I am dubious financial fair play laws can address that so Serie A needs to adopt a different approach if it hopes to succeed again. Better marketing and merchandising, encouraging fans back to safer and better-equipped stadiums and spending more wisely are all parts of that package. But it will still take some time before that can make them challenge unless there is a collapse in the huge spending elsewhere. We at OOTB are particularly proud at our comprehensive Scout Reports. Which young Serie A star has impressed you and is there anyone else we should keep an eye out for? 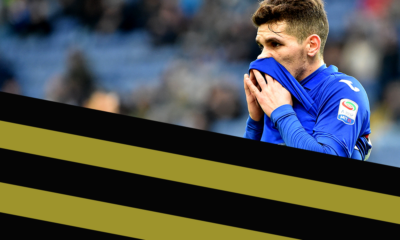 Serie A is notoriously reluctant to give young players a chance but some of the best aged 21 or under this season have been Paul Pogba (Juventus), Juan Iturbe and Jorginho (Verona), Shkodran Mustafi (Samp) and Domenico Berardi (Sassuolo). It will be worth watching how Khouma El Babacar – on loan to Modena from Fiorentina in Serie B – develops too. Italy finished bottom of their group at the last World Cup, winning the coveted trophy 4 years prior. Where do you see them finishing in Brazil? I think Italy will do better this time around than last, which wouldn’t be hard! They have a squad which seems to give its best in tougher matches but the draw for Brazil will be key to their chances. I believe they can reach the quarter-finals but whether they can go any further could be down to who they meet and how they cope with climatic conditions. Do you think Prandelli is the right man for the Italian national team? 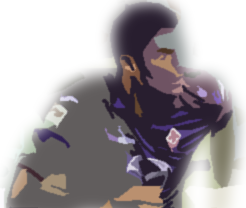 What have you thought of the former Fiorentina man’s tenure so far? Prandelli was the right man for the job at the time and he remains so. He has helped Italy become a more enterprising and attacking side which tries to go out and impose its play on opponents. There have been setbacks – most notably in friendlies and the Euro 2012 final – but he has earned his shot at the World Cup. He can get the very best out of this current crop of players. Francesco Totti is the evergreen legend of Italian football. Does he deserve a recall to the national team? I am always wary of trying to turn back the clock but if Totti gets back to fitness and shows the form he did at the start of the season his claims could be hard to ignore. Even as an impact substitute late in the game when opponents are tired he could have a devastating effect. I think Prandelli will be inclined to stick with the players who have taken him to the competition but, if one of them gets injured or suffers a loss in form, what a delightful replacement the Roma skipper could make. @OOTB_football @ginkers can Vargas be rehabilitated? I think Fiorentina have already made some steps towards getting the old Juan Manuel Vargas back. He is not the devastating force he was but he has definitely shown signs of recovery. In the end, however, it is down to the player himself. He let his standards slip and his play suffered as a result, if he gets back to a truly professional approach I think he can still be a Serie A class player and he remains one of the best crossers of a ball in the business. That kind of service could be a treat for Mario Gomez. 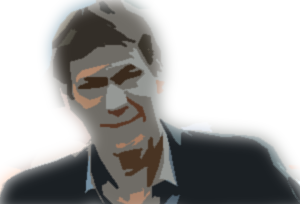 @OOTB_football @ginkers What do you think Inter need to improve to finish in the top three? 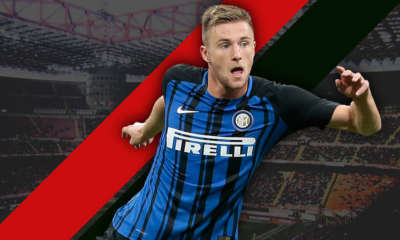 Inter don’t need a huge overhaul to their squad to get into the top three but I think a bit of rejuvenation throughout the team would be a good thing. I also think a couple of really good full-backs would make a major difference as they are key to Mazzarri’s approach. There are other issues there too but it is mostly one of confidence. If they can cut out the inconsistency of some of their players, they have a decent shot at getting back to a Champions League spot. Expert Interview: Who could be Atletico’s key player besides Diego Costa in the Champions League?